Generally, the arguments for highly flexible automated fabrication processes are indisputable: on the one hand sophisticated digital design tools are available, while on the other hand the dexterity of industrial robots enables the performance of arbitrary fabrication tasks. Unfortunately, though, in reality a gap still exists between the conceiving and planning of a design and its execution by (just in theory) highly flexible industrial robots. 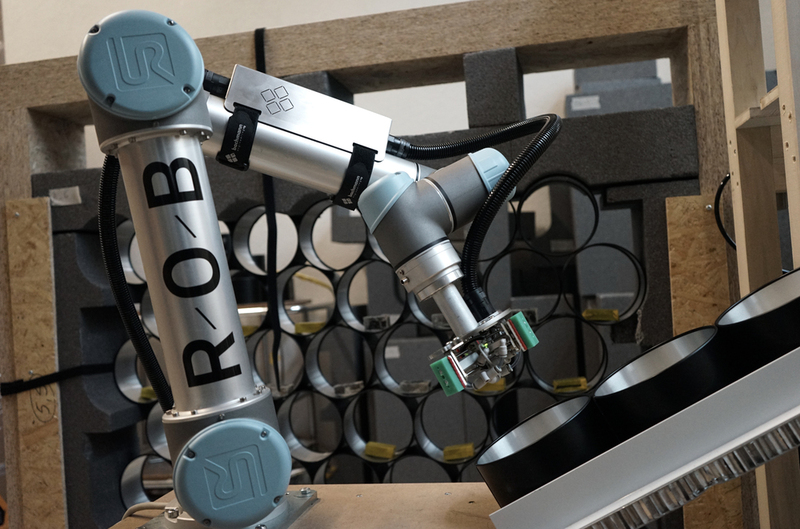 In making robots easier to control and more intelligent in perceiving their environment, ROB Technologies’ software solutions enable you to activate and utilise this flexibility. Thus, automating project specific processes become a factual and reasonable option. Collaborative robots, like, e.g., Universal robots are predestined for implementing project specific automation processes, because their setup is easy and they require no additional safety measures. Combined with our software URStudio you have the ideal setup to realise almost any project. For Röösli AG we developed and implemented a project specific automation process. 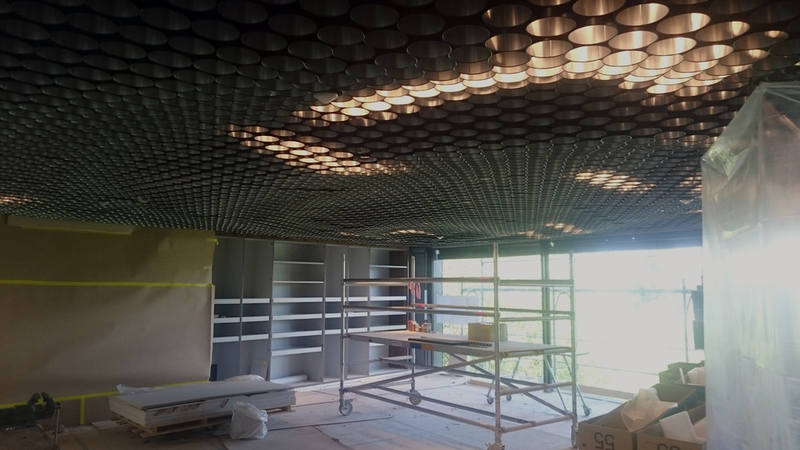 In this case, a URStudio drives the fabrication of a non-standard ceiling Project. Interested in Project specific Automation? We can help you realise your project specific Automation processes: Being it the generation of control data for your existing machinery, conceptualising and engineering the process, or even renting out the necessary equipment.